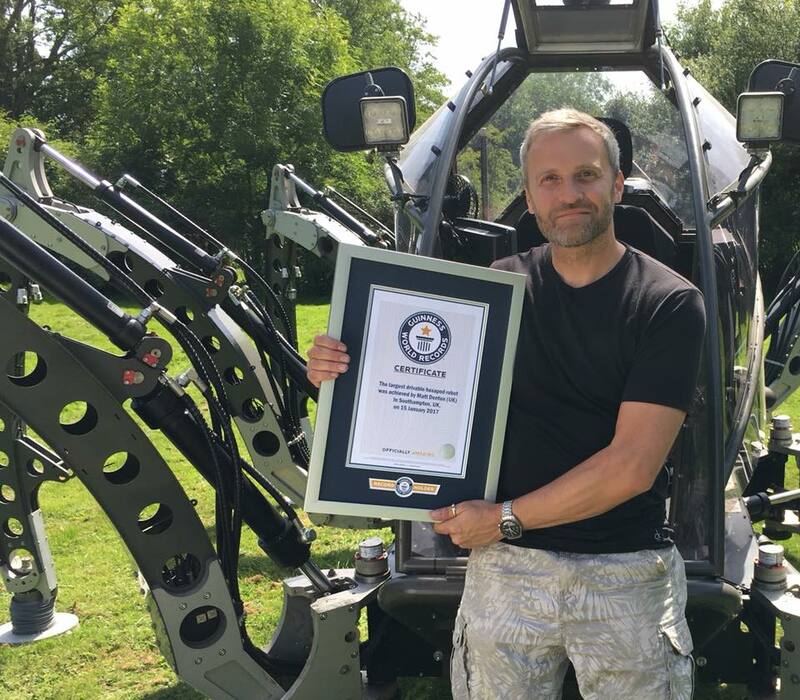 We told you about Matt Denton before – he is the brain behind the Mantis robot, a 2-ton hexapod creation that is in the Guinness World Records for its sheer size, brain and rideability. 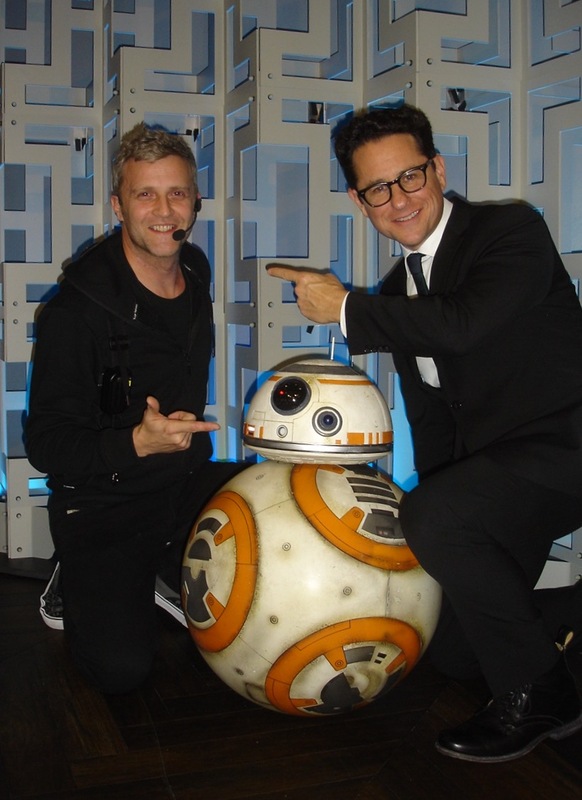 If the name rings a bell, that’s probably because he is the man who worked on Star Wars Episode VII: The Force Awakens and was one of the driving forces behind BB-8, alongside fellow animatronics expert Joshua Lee. Remember the red carpet BB-8? Yes, that was all Matt Denton and Joshua Lee as well. 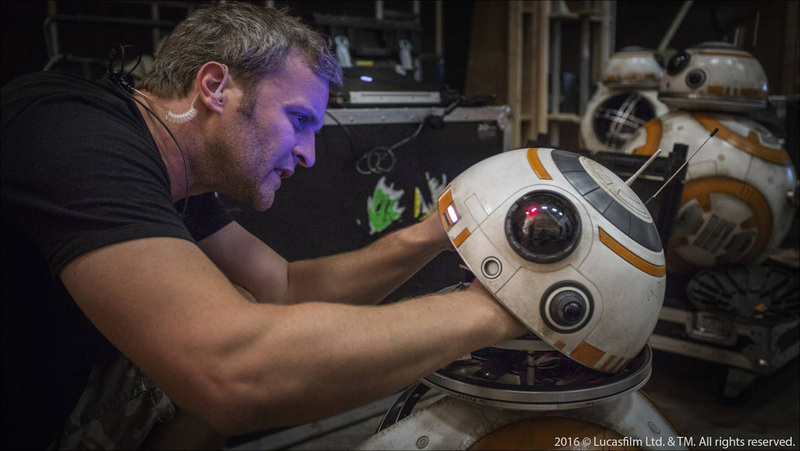 In an exclusive interview for Tech The Lead, Matt Denton spoke to us about the trials and tribulations of building BB-8, about his Mantis project, and more. Can you give us a little insight into who Matt Denton is? How has your interest in animatronics and special effects come about? Well, I suppose my interest in SFX and animatronics came about by watching sci-fi and fantasy films as a kid. Films like Star Wars and Johnny 5 got me interested in robotics, although at the time I didn’t really think what I was watching was often an effect rather than a real robot. And then films like E.T. and Labyrinth got me interested in animatronics. I remember watching Labyrinth with my best mate at school, and we decided to try and build Hoggle. My mate sculpted the face and we cast it in plaster cast, then painted in layers of Copydex glue to make the skin. I made a simple eye mechanism from some roll-on deodorants and servos from my R/C cars.. all very high-tech. Did you think you would ever work in the industry as you do now, when you were younger? No. I didn’t even think it would be an option. When I left school I was still fascinated by robotics and control system, so I carried out a 4-year apprenticeship in electronics and software engineering with Marconi Defence Systems. It was a good mix of practical hands-on skills and theory, and gave me a good start within electronics/software. When you first started working on animatronics, what inspired you? During my time at Marconi I started to grow interested in films like Star Wars and Blade Runner, and one of my colleagues brought me in a book which was 10 years of Industrial Light & Magic. It was a fascinating book and I noticed they used electronic engineers to make the lights in models work, and for animatronics. I suppose this planted a seed in my head that I might be able to apply my skills to a more creative industry. 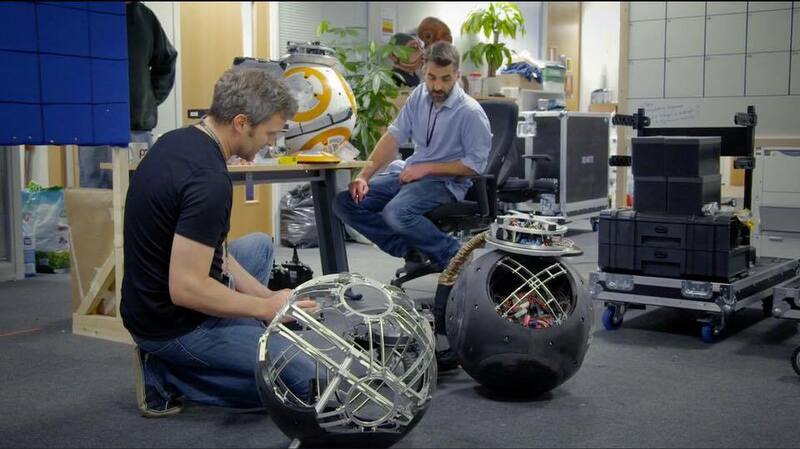 The BB8 robot you created for the Star Wars red carpet was most likely a dream come true for you, since you said that you have seen Star Wars as a source of inspiration. Back then, no one knew how you made the robot a reality – what were the biggest difficulties you faced while building it? The red carpet BB-8 was a huge challenge for myself and Josh Lee, who was the principal mechanical engineer for the project. We both had some idea of how it might work, but had not tried anything in practice, so we decided to just start making it and see where it led. There were other ball-based robot around at the time, but none with an external head! The more we got into the project the further we pushed our initial goals. For example, our first version was not going to have any lights within the body, and it wouldn’t be able to turn on the spot, but during the design process we had a couple of eureka moments in which we thought we could add these functions in. The closer the functionality our red carpet BB-8 had to the film BB-8 the better, as it would help to sell that magical moment when it appeared on stage for the first time. In the end we created something that was so close it could be filmed on! After BB-8, you turned your attention to what is now knows as Mantis. What made you choose a hexapod robot over any other design you could have or already have come up with? Well, actually Mantis came before BB-8. I had been building hexapod robots since 2001, but on a much smaller scale. I have built literally dozens of different six-legged walking machines but never larger than 0.5 meter diameter. The inspiration to create walking machines probably came from seeing walking machines in Sci-Fi such as the At-At’s in Star Wars. I just wanted to make something that looked cool and moved well, so I started from there. The reason for six legs was that A – I liked insect type designs and B – with six legs, there are no complex balancing issues. Anyway, I had always thought it would be very cool to make one large enough to pilot. 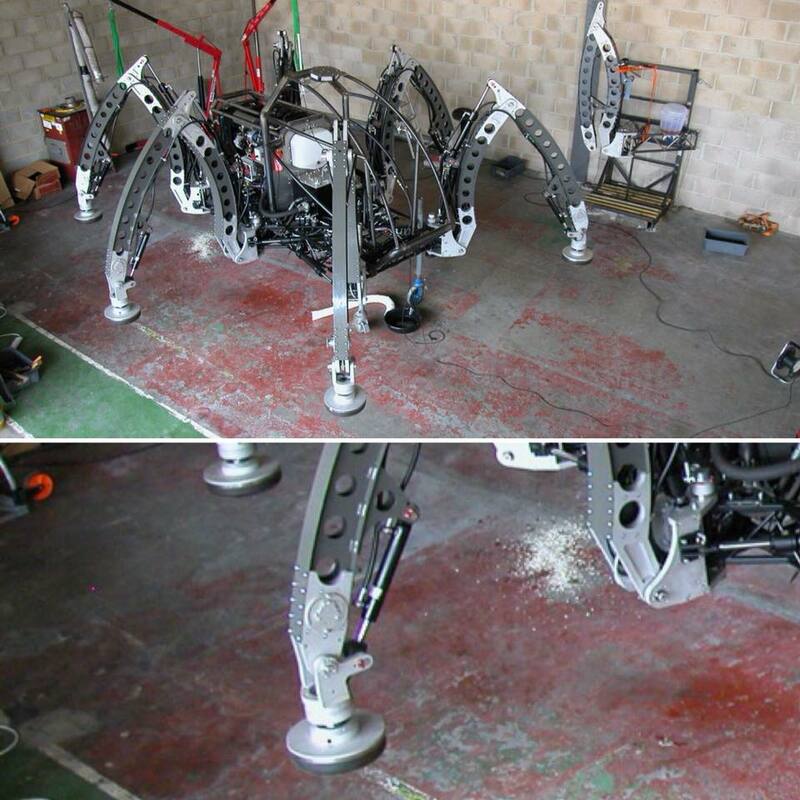 Then, in 2009, a company approached me with an idea to build very large hexapods for underwater exploration. 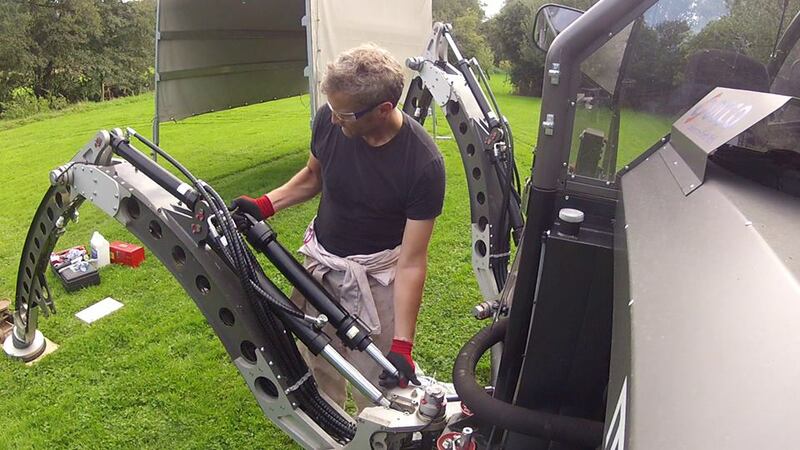 So project Mantis was born in order to test the feasibility of scaling up my designs to larger machines. As it happens Mantis is still only about 1/10th of the scale they were aiming for! Can you explain to us how the Mantis actually works? That would take a long time.. but I’ll try a simplified version. There is a diesel engine driving a hydraulic pump that supplies the power to the hydraulic actuators on each leg. There are three actuators on each leg which each have a position sensor that tells a computer what angle the leg is at. There is then a central computer that tells all the leg actuators what angle they need to be at at any given time to achieve the desired body posture or walking gait. The pilot simply selects how fast and in which direction to move in. The computer does all the hard work! 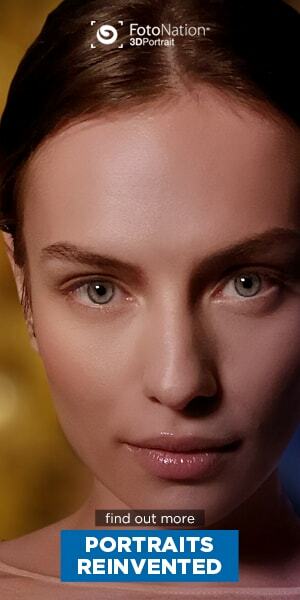 Have you been approached by companies who wanted to use Mantis for anything other than the entertainment industry? Yes. There was one company that had an application drilling for suitable mining sites in sensitive areas within a rain forest. Currently, they have to apply for a deforestation permit to get their machines in, this can take two years and also leaves a clear path into the forest that illegal loggers can follow. With a machine like Mantis, the foot pressure under each leg is approximately the same as a human foot so no damage is done to the terrain. In this case no permit is required and less clear cutting. However, the drilling rig was too heavy for Mantis to carry and the company did not want to fund further R&D to build a larger machine! What are your hopes for the future of Mantis? I would like to do a tour of the U.S., visiting the various maker and science fairs. I would also like to see a practical use for such machines one day, I learned a great deal when designing the Mantis and if I had the chance again I feel I could build a much better machine. Otherwise I can see the Mantis ending its days in a Museum. Are there any future projects you are working on that you can share with us? Anything we should be looking forward to? Well, my day job is working on films such as Star Wars. I’m currently working on the last in the new trilogy – Episode 9, but I’m not allowed to talk about that. Otherwise, I busy myself with 3D printing projects such as scaling up my favorite 1980’s Lego kits – you can see the results on my YouTube channel.